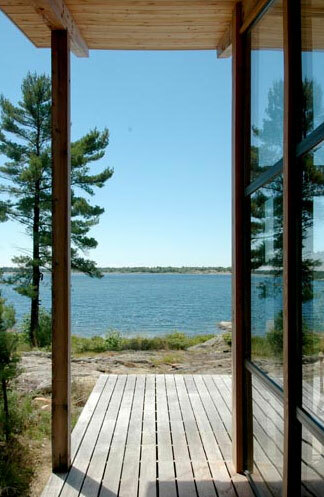 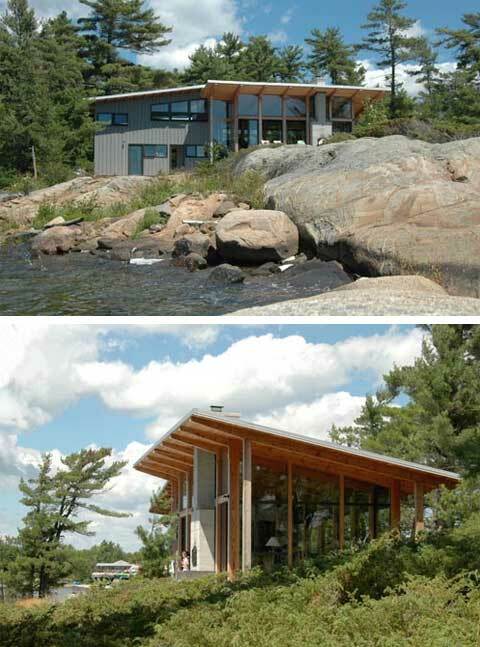 This small coastal cottage serves as a lovely family home overlooking Ontario’s beautiful Georgian Bay. 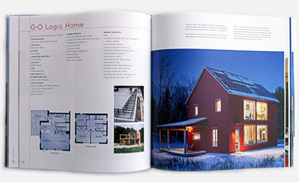 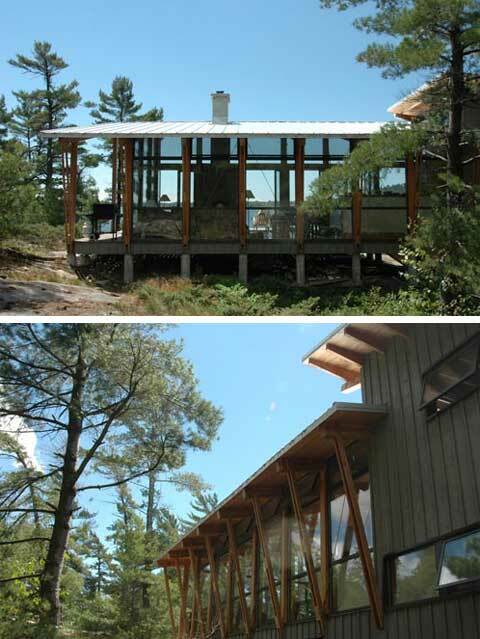 The design is based on an open concept living/cooking/dining pavilion that connects to two levels of sleeping quarters. 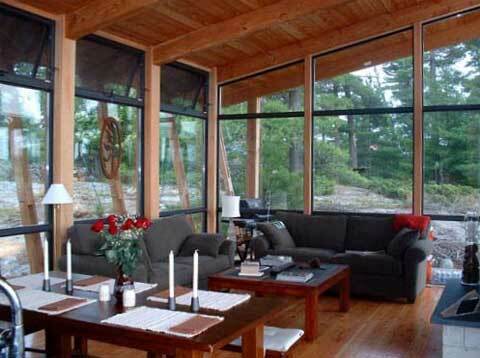 The total space of 1,100 sq. 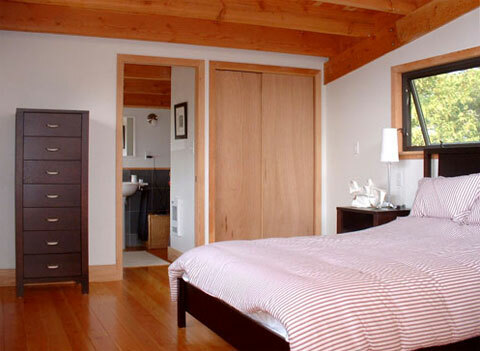 ft. is divided into two units, providing both privacy and a cozy, bright space for family members to enjoy. 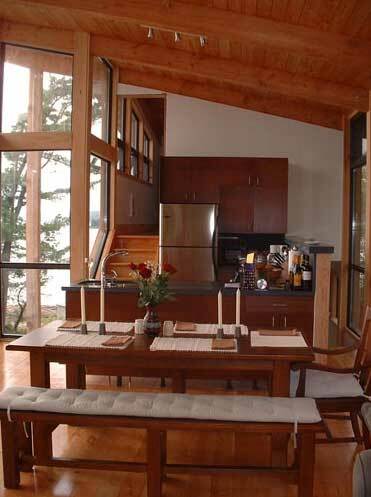 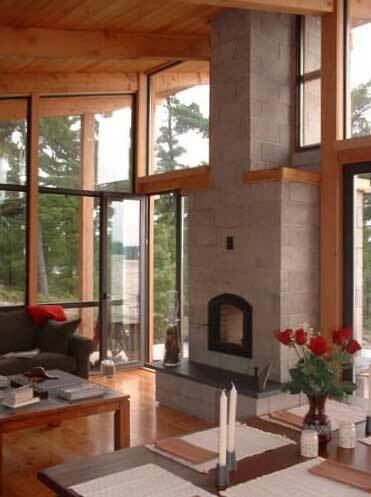 A comfortable living room with a central stone fireplace, dining area and a compact kitchen are perfectly arranged in the double height space, featuring glass walls that bring in the rugged coastal surroundings from every direction. 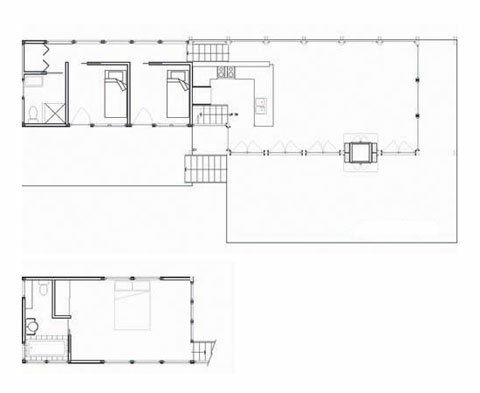 I like the concept of separating the sleeping quarters from the public areas; a small staircase leads to two bedrooms and a bathroom, while the master suite is located on top. 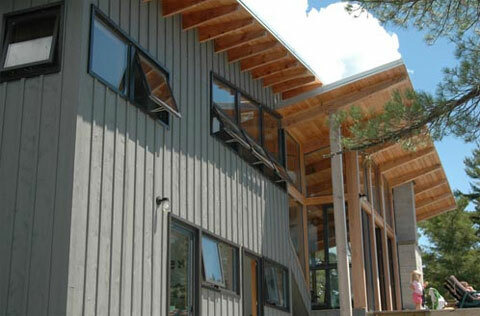 This modern cabin is based on a Douglas fir post and beam construction, fiberglass window system, pre-finished siding, and a steel roof.